You can make art everywhere with whatever you have. Today, while out to lunch with a friend, I used some nearby materials to make a little tabletop art project. 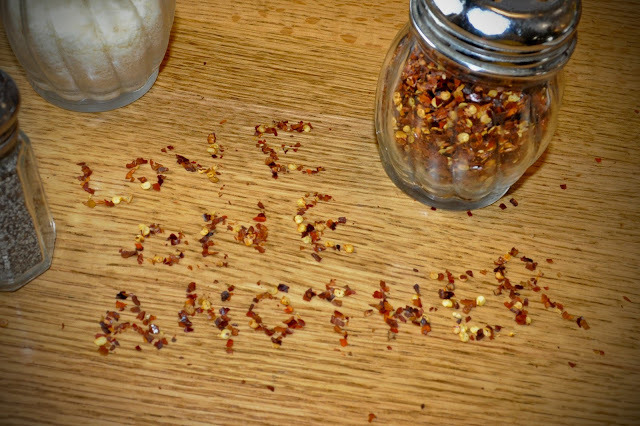 Those nearby materials happened to be red pepper flakes. However, I cleaned it up immediately so as to not be a jerk to the waitress. Love one another and don't be "that guy" or "that girl."